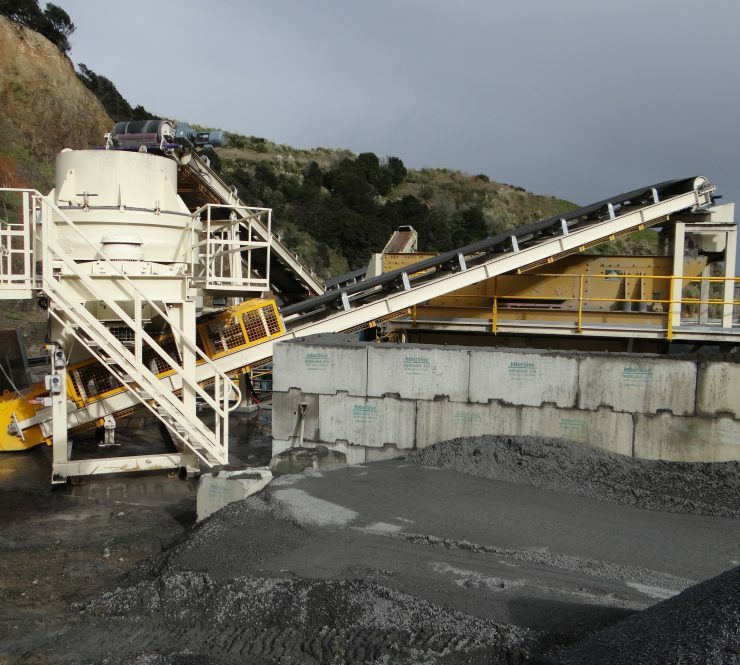 Higgins Aggregates supplies over two million tonnes of aggregates per year throughout New Zealand. 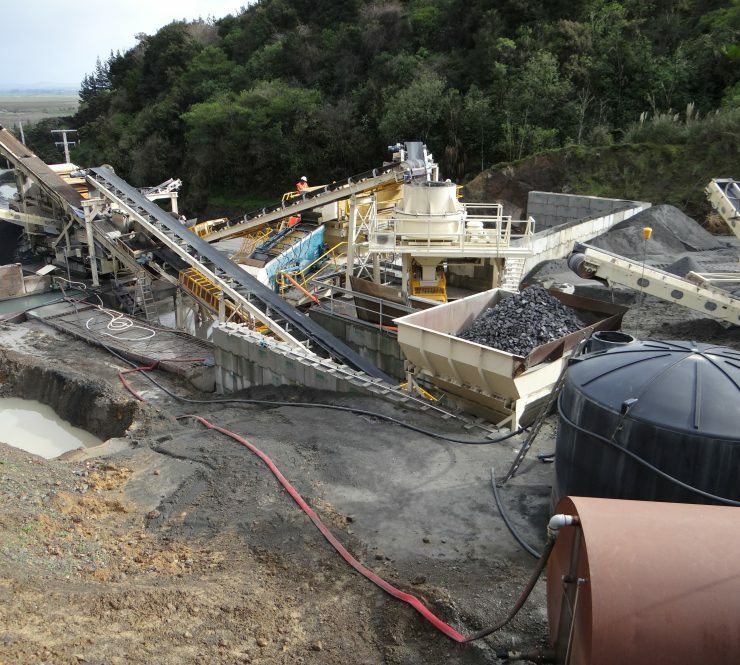 Their Meremere Quarry located near Te Kauwhata in the Waikato, supplies high PSV aggregates to the road construction industry. In an initiative by the company to drive greater efficiencies, the Meremere Quarry was required to undergo a transformation from diesel powered mobile equipment to a new fully electric fixed plant. Brightwater was contracted to design, manufacture and install a purpose built fully electric plant that utilised existing tracked mobile equipment on site to help reduce costs. The design was a joint collaboration between Brightwater and Higgins. 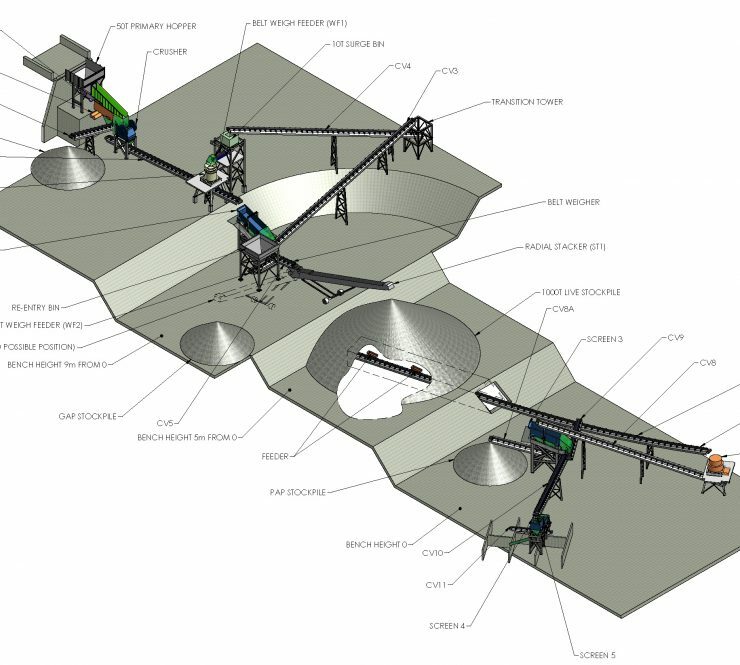 Brightwater completed a high level concept sketch and used three dimensional modelling to capture and communicate the most efficient solution given the challenging topography of the quarry site. 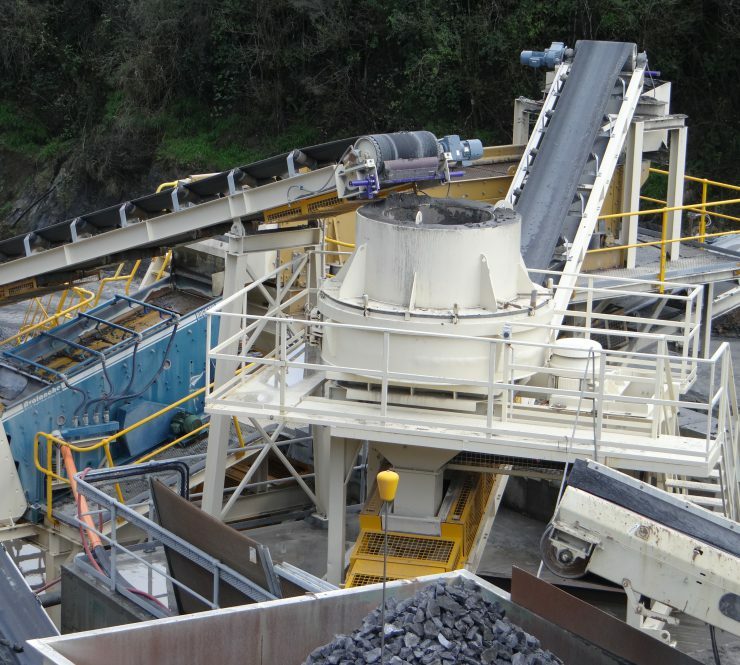 The result of this design lead to a modular plant where mobile equipment was fixed into position, extra conveyors were added along with larger more efficient screening plant. The design increased production from approximately 60 tonne per hour up to 180 tonne per hour capacity. A new elevated feed bin was also designed to allow 30 tonne dump trucks to provide continuous feed material into the plant at a set rate. The entire process from design concept to site installation and commissioning was completed within an eight month timeframe.